ASRock's IR Digital PWM 12 Power Phase design is ready for the most demanding modern processors. In this latest generation, Intel has added more cores to the new processors, so these already powerful CPUs now offer even higher performance. But more cores can sometimes demand more power when overclocking. By providing the steady and solid support of twelve power phases, the ASRock power system is designed for maximum stability at all times, and for maximum overclocking ability whenever you need it. 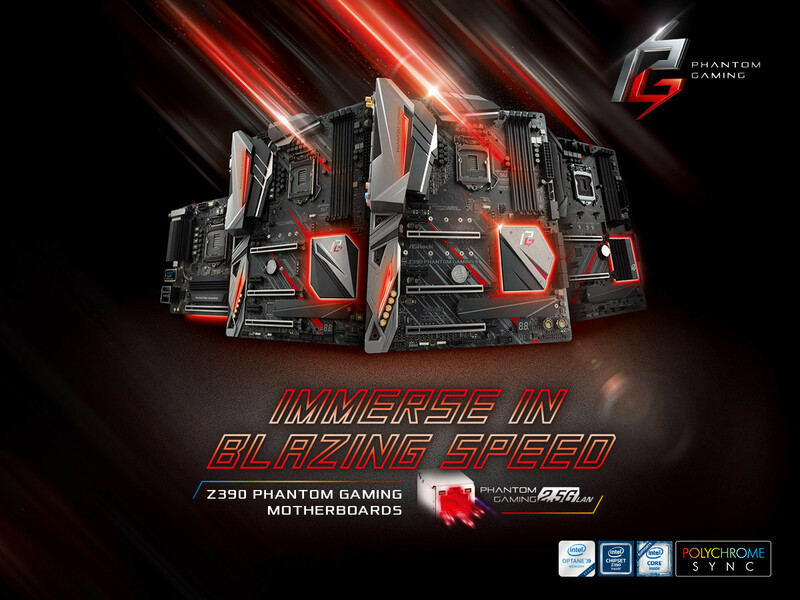 The new Z390 motherboards from ASRock bring best-in-class features to power users, including the most responsive high-speed internet connectivity at up to 2.5 Gbps, super stable 12 phase power design - plus outstanding ASRock features such as USB Type-C, vivid Creative Sound Blaster Cinema 5 sound, vibrant Polychrome SYNC full color RGB LED control, and full coverage M.2 heatsinks to keep up with the fastest storage performance. 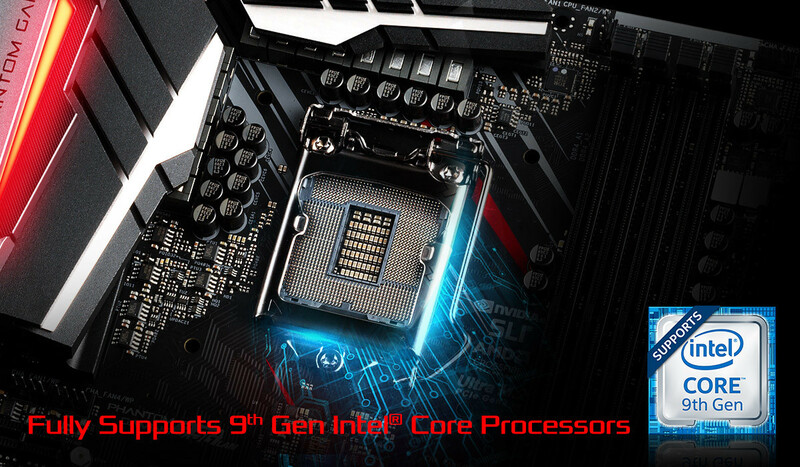 With all these powerful and versatile new features, ASRock now has the best all round product line for gamers, as well as for performance-hungry power users. AsRock, you're late to the party and that is exactly why your motherboards were so popular with Z370. Get the memo pls. We don't need a special Gaming line up. We need no nonsense, reliable boards that focus on solid VRM and a good featureset at an interesting price point. It seriously baffles me why they don't focus on building what they had. People have gotten used to Extreme4 and the rest of the range, why the hell throw that out when it was already selling?! Hopefully they will make an AM4 version. I like the features of this board, but ryzen is where its at for me. Even though they have the "gaming" buzzword, the VRM is still the centerpiece followed by an arguably useful feature (faster LAN). How is that not exactly what you are asking for? I was hoping the itx board would have 2.5Gbps lan. Meh, Trump Tariff, "gamer tax", take your pick. We gonna pay. 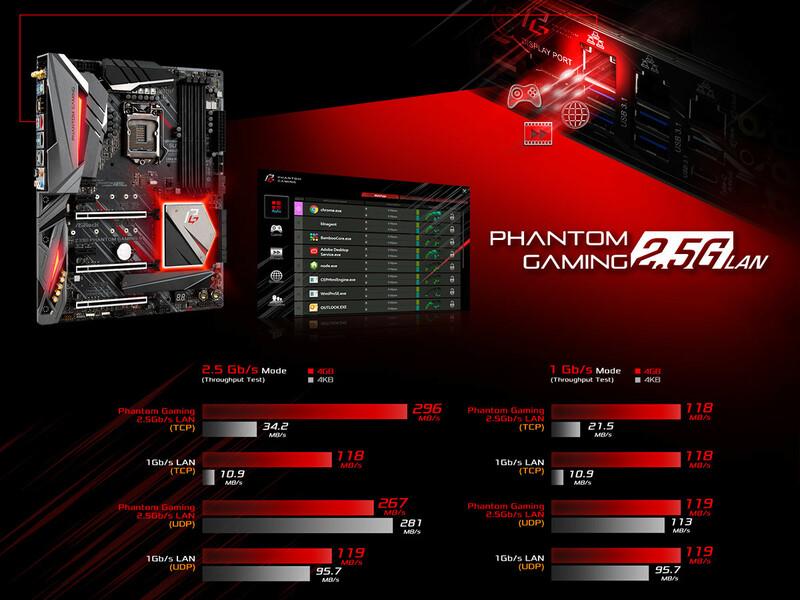 Not bad at all, interesting motherboards. But somehow I'm sure I would stay with ASUS Maximus. I'm sure we will not see mATX motherboards capable to compete to better ATX Motherboard. Only lower class, I mean on every vendor. But last on picture is interesting Mini ITX board. I believe there's an ASUS ROG Gene coming back for Z390. Should be good. I don't believe any more in nice Gene motherboard. Anyway they missed to launch for X99, Z170, Z270 and I bought case enough for E-ATX. I mean my case is not to big but fit and server motherboard. Maybe they launch Strix with chockes as low end segment.